Get in the shape of your life and feel better than ever at Tempus Personal Training. Sign up for a free consultation now to see how we can transform your body and your life! Tower running – 2 words that simultaneously terrify and intrigue me. What a challenge, what an accomplishment to be able to run distances vertically! The training, the physiological adaptation required…..hence my intrigue. Could I do it? Would I want to try? And, not to be flippant, but would there be a need for a defibrillator? I was aware of the benefits of stair running before retraining as a fitness professional, and had seen at least one Stairmaster machine in most large gyms. 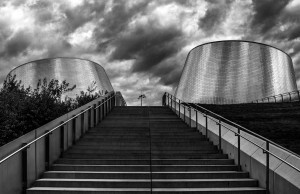 Today, training methods and sports disciplines have changed, and there are more technologically advanced stair climbers available. Also, outside of the gym, the success of tower running is giving new life to stair training. The sport’s growing popularity is based on the benefits it brings to the body for both professionals and amateurs. Those who practice this discipline will know that running up a flight of stairs puts the cardiovascular system back into shape faster than jogging. Stair climbing improves heart activity thanks to the greater amount of blood that is pushed into the circulatory system and consequently the greater amount of oxygen that circulates in the body. Tower running in particular gives you the chance to benefit from the proven effectiveness of this type of cardio training while ascending some of the most beautiful skyscrapers in the world. Tower running is a race on the stairs of the highest man-made buildings such as skyscrapers. Usually the races take place on internal stairwells, but the term can cover any race on foot involving a path that climbs up to an artificial structure. In 1905 the first known tower running activity was held on the Eiffel Tower, with the aim of a competition between champions and athletes from different sporting disciplines – runners, cyclists, footballers and amateurs, were all present among the 283 people who participated in the first tower run. Tower running competitions take place in many of the world’s tallest skyscrapers, and the Tower running World Association allows the best vertical runners from around the world to register and earn points for the final ranking. Tower 42 in London with its 42 floors, and 932 steps hosts the Vertical Rush which is an annual charity race, and the one that brought the sport to my attention. To best way to prepare for a vertical marathon is to use what you have available, such as the stairs of your house or apartment block. As always, varying the training is key to ensure that your body is fully prepared. Tower running is a heck of an undertaking but imagine having the experience of running up an iconic building, the immense sense of achievement and the fabulous view at the top as your reward. Should I do a tower run – the jury’s out! 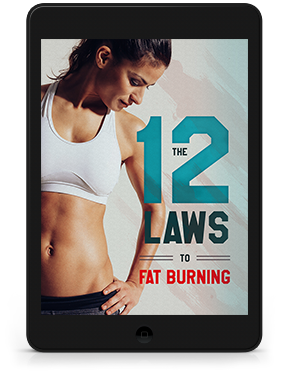 In this e-book, we demystify the 12 best ways to burn fat and achieve the shape you’ve always desired. To learn more about my Programmes and schedule a Consultation, please contact me.